Welcome to the project that started it all! 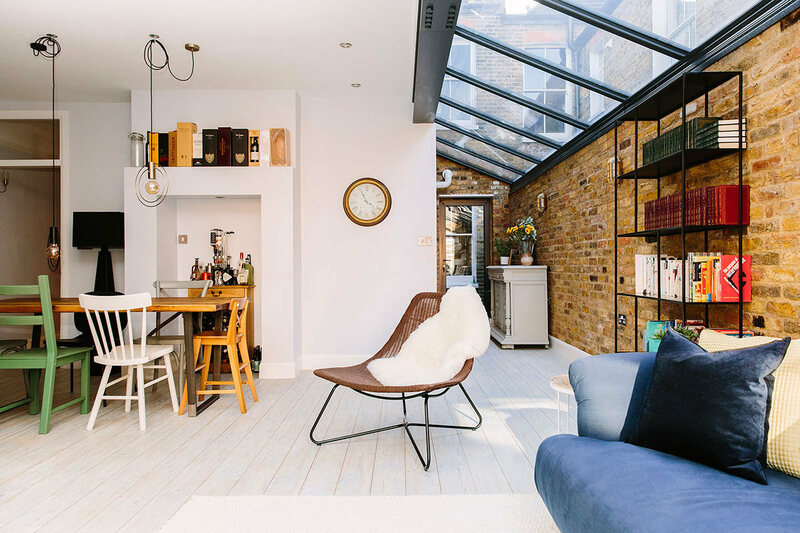 This ground floor side extension was Resi’s first project, as our co-founder, Alex Depledge, looked to transform her London home. Alex and her partner were living in a Victorian maisonette, with a small garden to the rear. With outdoor areas at such a premium in the capital, losing any green space wasn’t an option. That’s why they opted for a side extension, bringing their home out into the dead alleyway space that sat between the their home and a neighbour. 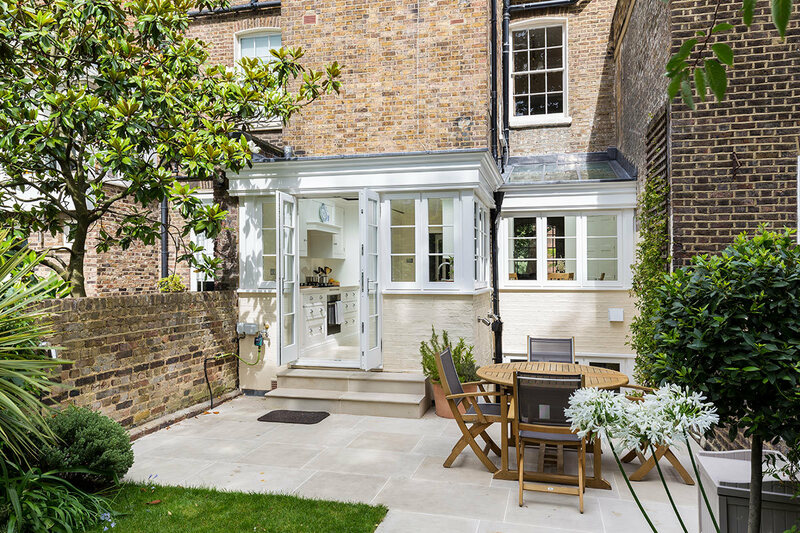 Alleyways are common in period properties, especially those from the Victorian era, which is why so many benefit from this type of extension. But she wasn’t only looking for extra space, she wanted to revolutionise the rest of their home too. 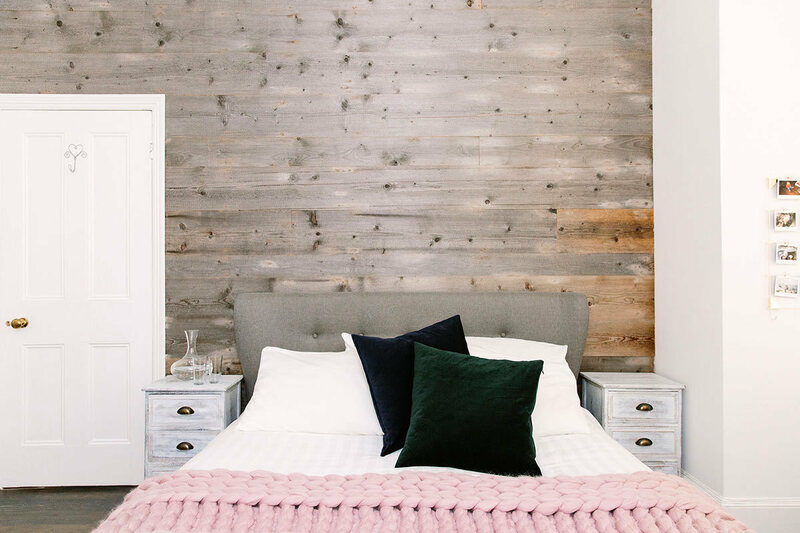 As a maisonette, their home was a long, one floor property, with their living and sleeping spaces mixed together. So our first design priority was moving those bedrooms to the front of the house. This meant both the kitchen, diner, and living room all lived in the rear, allowing the parents to entertain friends as far away as possible from the children’s bedrooms. One of the benefits of having the living space to the back of the property is that it’s now able to benefit from the garden we mentioned earlier. 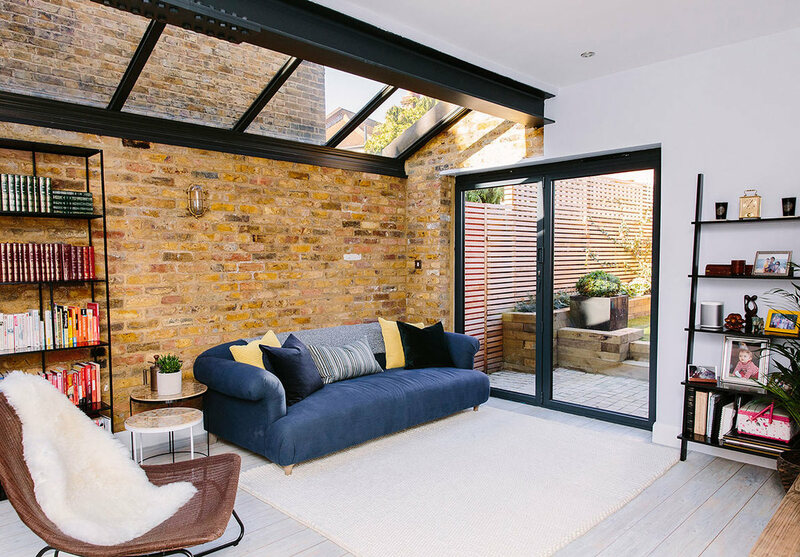 We were keen to make sure their home enjoyed lots of natural light, and had good connectivity to the outdoors. 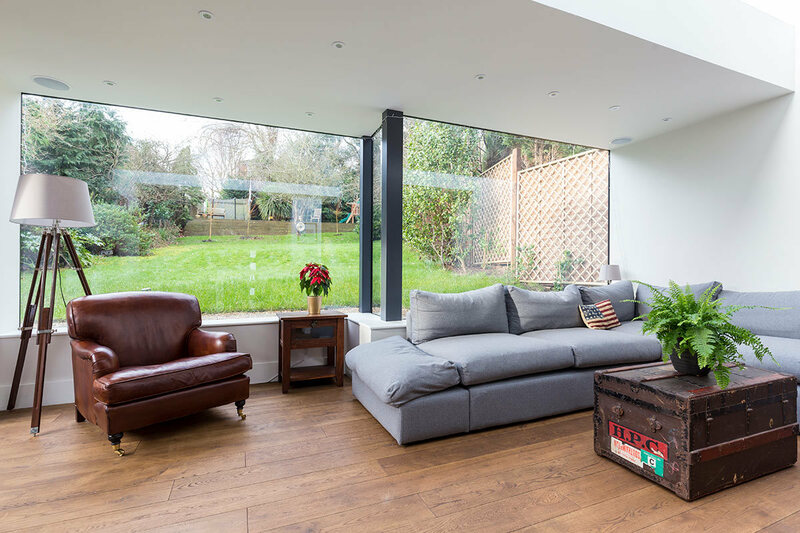 The first step in fulfilling this was using the side extension to create large, glazed doors, that once opened, would allow the family to move seamlessly between outside and in. But that’s not all we did. 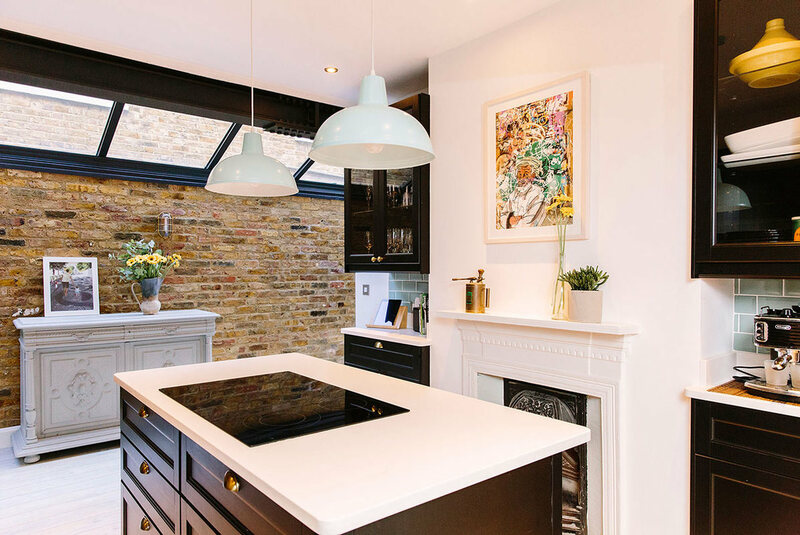 Alongside great light, Alex was no stranger to the property market, and wanted to make sure they had some WOW features to help attract buyers in the future. With no sales date in mind, we had to make sure these big editions were not only appealing, but would stand the test of time. 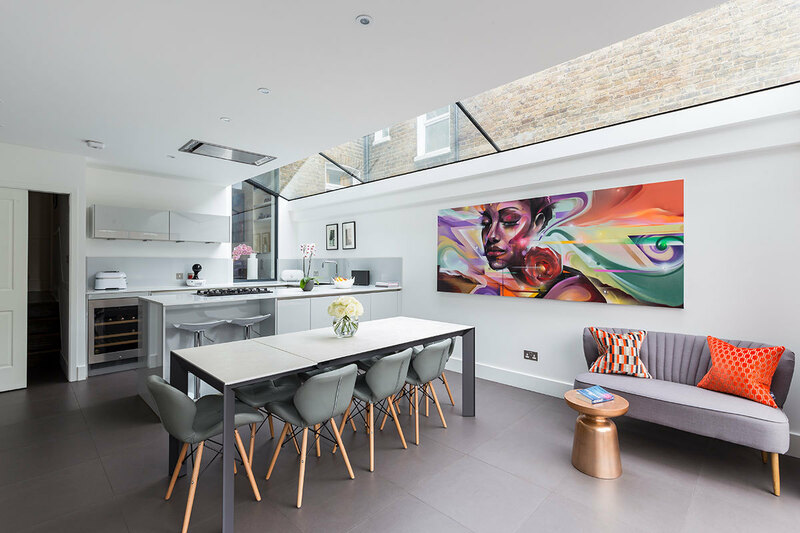 One stand out feature of our design is the glazed ceiling that runs along the new side extension. This is given extra cool points, thanks to the exposed steel frames and beam, that helps bring together modern with the traditional. That classic touch comes from the exposed London stock brick wall. One more interesting feature about this property is the layout. It would have been easy for this family to opt for the ever popular open-plan layout, but they decided they wanted something different. They didn’t want to be coming in and out of rooms, roaming the corridors, but they also wanted to break the space up and allow for some privacy in the living areas. In the end, we solved this by designing a layout that was halfway between the two, using partitioning walls to not block the rooms off completely, but just enough break the spaces up. This project is an excellent demonstration of how adding something as simple as a side extension can transform an entire household. In adding their side extension, they’ve been able to open up the entire house, and create spaces that cater to their lifestyle. 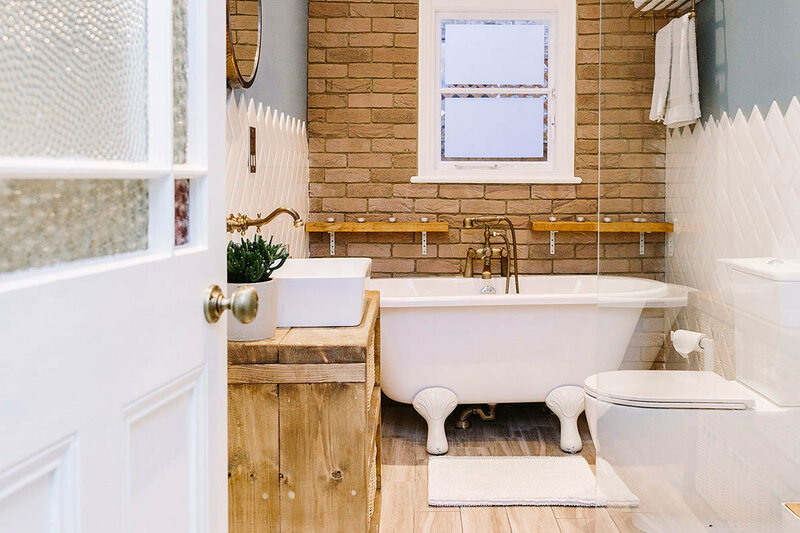 What’s more, by investing their money in timeless features, they’ve made sure this is a house that not only works for their family now, but also in the future when it comes to sell. Speak to one of our design and planning experts to see how we can help. Enjoyed this? Share it with a friend.